An electroencephalogram is a recording of brain activity. This activity can be picked up as small electrical impulses by what is known as an EEG headset. We have built applications using these headsets, taking a live stream of this data, sometimes combining it with input from other sensors (e.g. 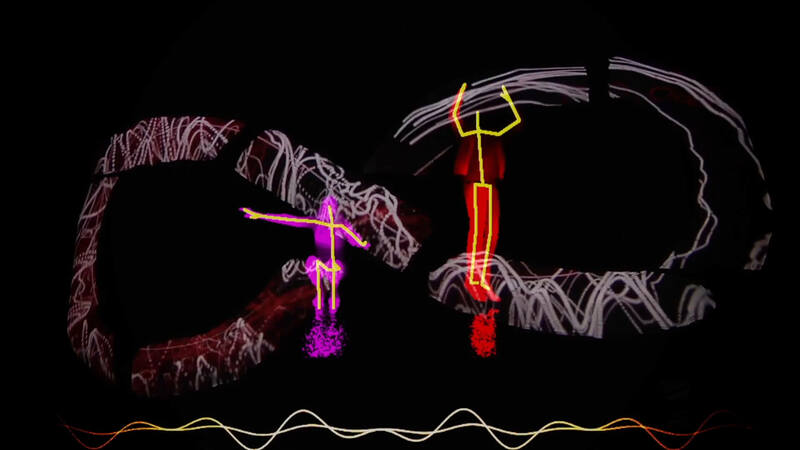 Kinect 2, Intel RealSense), to create interactive experiences. 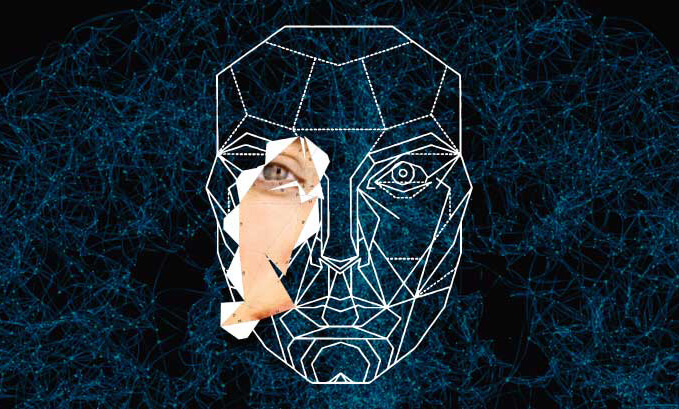 Souls as software was a performance, which generated sounds and images on a projection mapped installation using face tracking algorithms and a EEG headset (hover box). 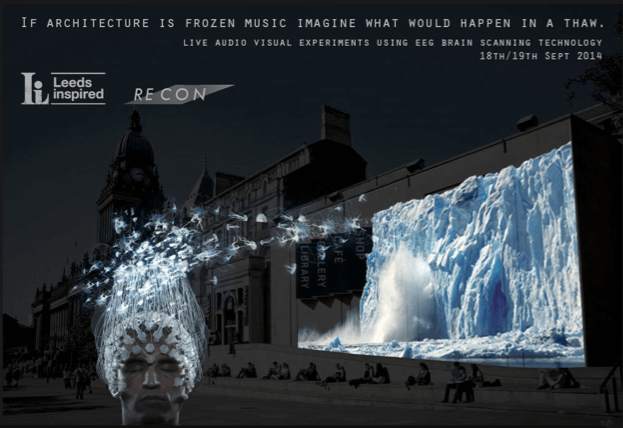 It was created in partnership with The Frozen Music Collective with the help of funding from the Arts Council. 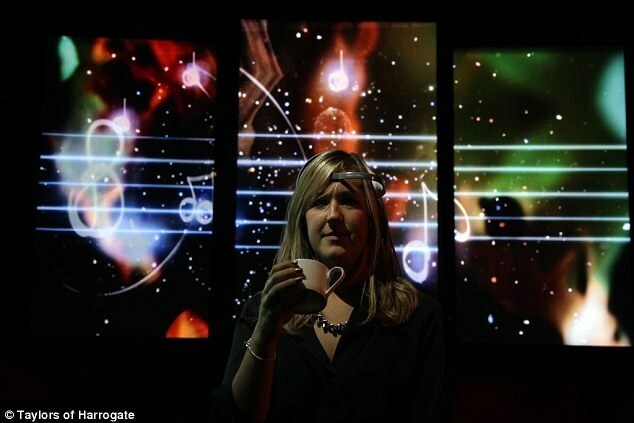 In this multi-media experience, participant's brainwaves were monitored using an EEG headset (hover box) while they drank and smelt coffee. The brainwaves were translated into starfields and smoke tendrils on-screen. 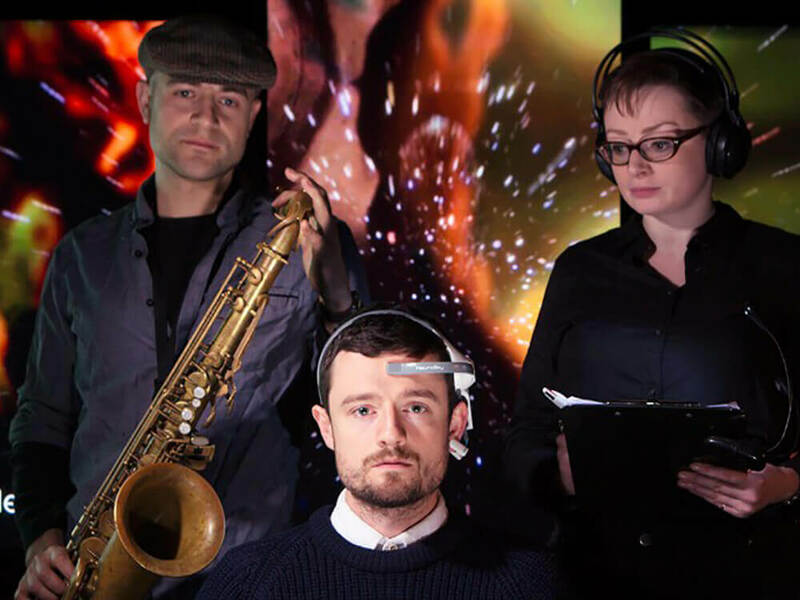 They also generated a musical score which was played live by musicians. 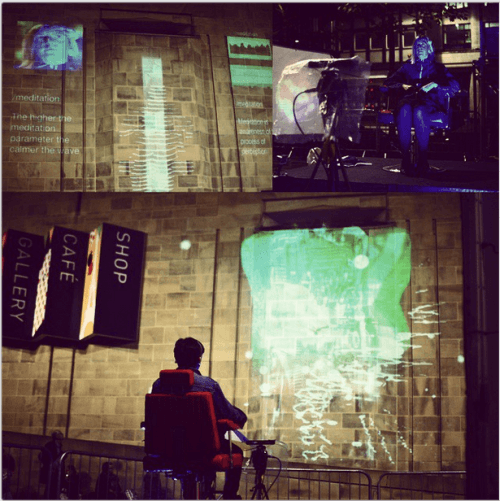 The two pilot performances which created the collective happened as part of the Recon festival outside the Leeds Art Gallery in September 2014. With a live audience of over 500 people, audience members transformed the existing perceivable architecture of the Gallery through video mapping linked to brainwaves, visually melting and morphing the building, blurring the edges of the senses and simulating synesthesia for participating audience members, during this live musical experience.